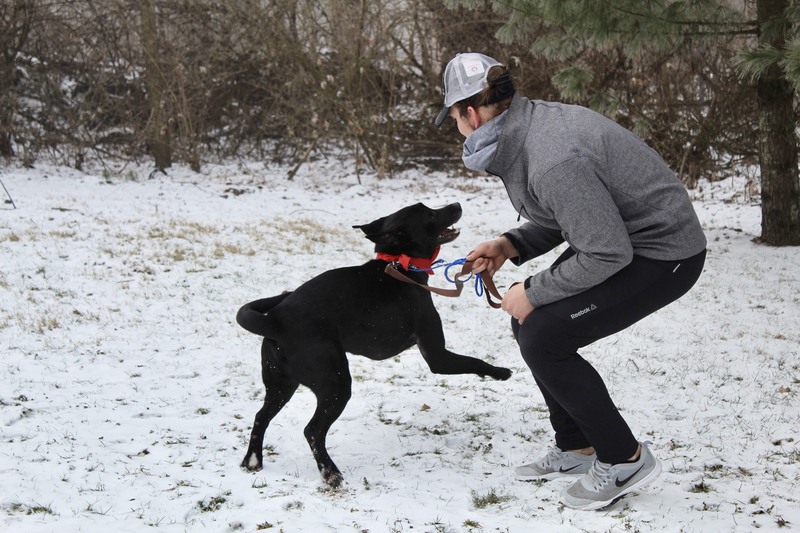 2/2/19 VOLUNTEER UPDATE: Although he is a little apprehensive in new situations, Soul quickly warms up and then proceeded to impress us with his knowledge of so many commands including: ready, sit, down, come, stay, off, heel, and almost leave it. He hasn’t had too much experience with leash walking but responds well to instruction. He loves, neck, hind end, and belly rubs, but is a little head shy and sensitive. 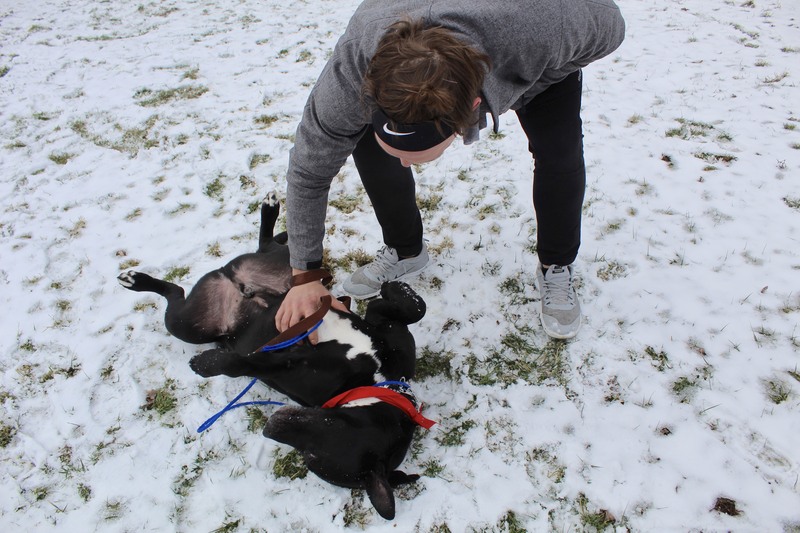 He is also having a blast in daycare, so he does fine with other pups too. 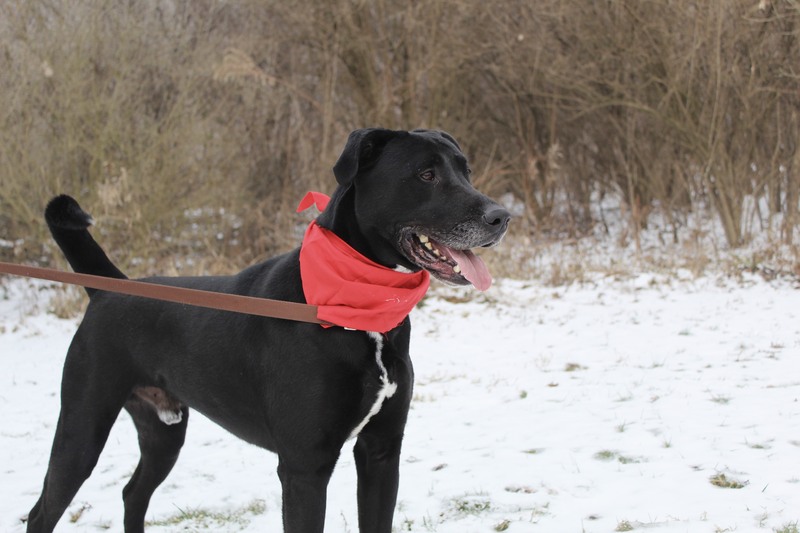 Soul is one very special guy, who is a definite mix- possibly lab, Dane, Shepard. We are not sure, but what we do know for sure is he is a mix of everything wonderful. 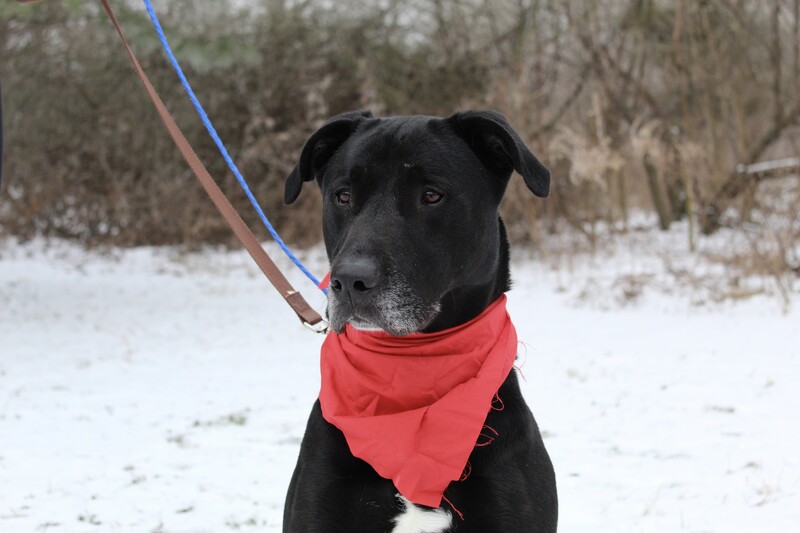 We hesitated to bring him into CLR since he isn’t a typical lab, but his flawless temperament and absolute sweet personality convinced us we could not leave him behind. 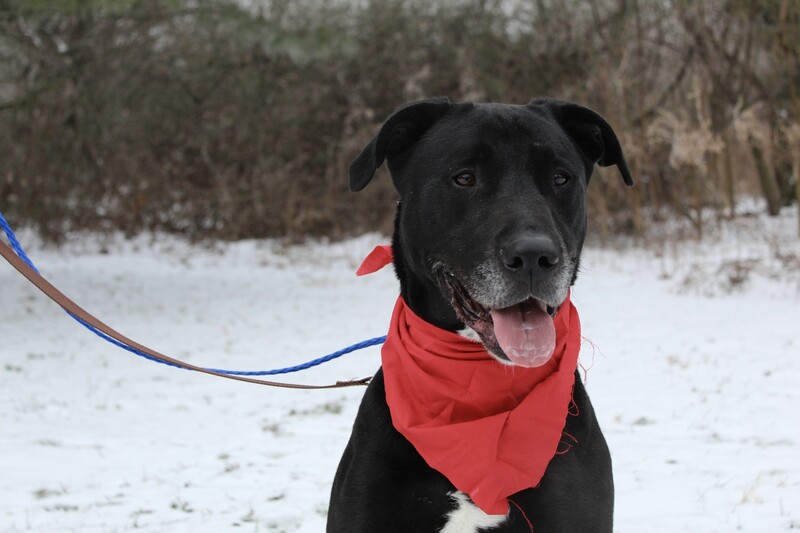 He is a pretty big boy and about 5 years old and definitely needed to leave the shelter and have a chance to find a loving home. 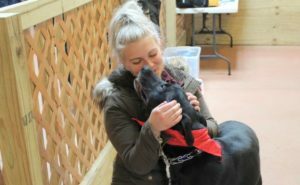 The shelter manager was crying when she said goodbye to him and after meeting him, we understood why everyone loved him. He was an absolute gentleman for his transporters. The other pups made us very aware of their presence, but regal Soul just sat in his seat looking out the window, without a peep. 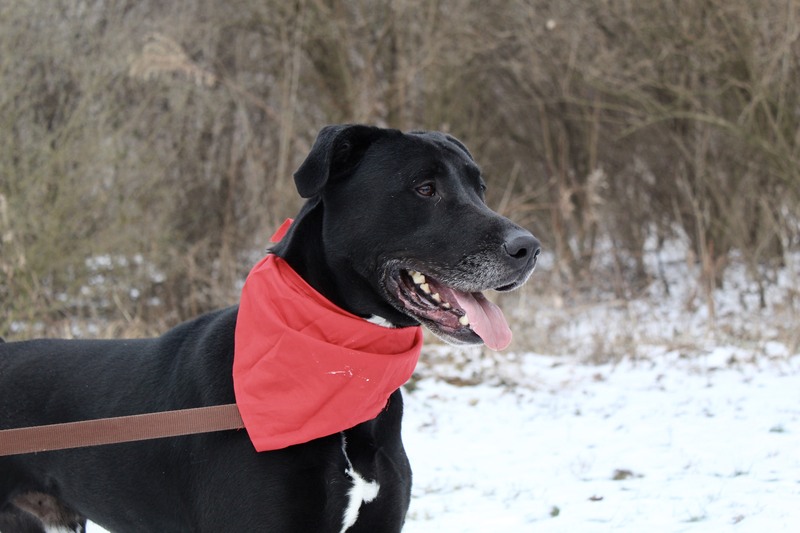 His former owner adopted him as a puppy, and after five years of his devotion, she moved and decided not to take him along, so he has been sitting, just waiting, for someone to say, “I want him!” We also want to share what his former owner said about his temperament. As we said, so many wonderful attributes rolled into one dog. He is good with kids, dogs, cats, and babies. 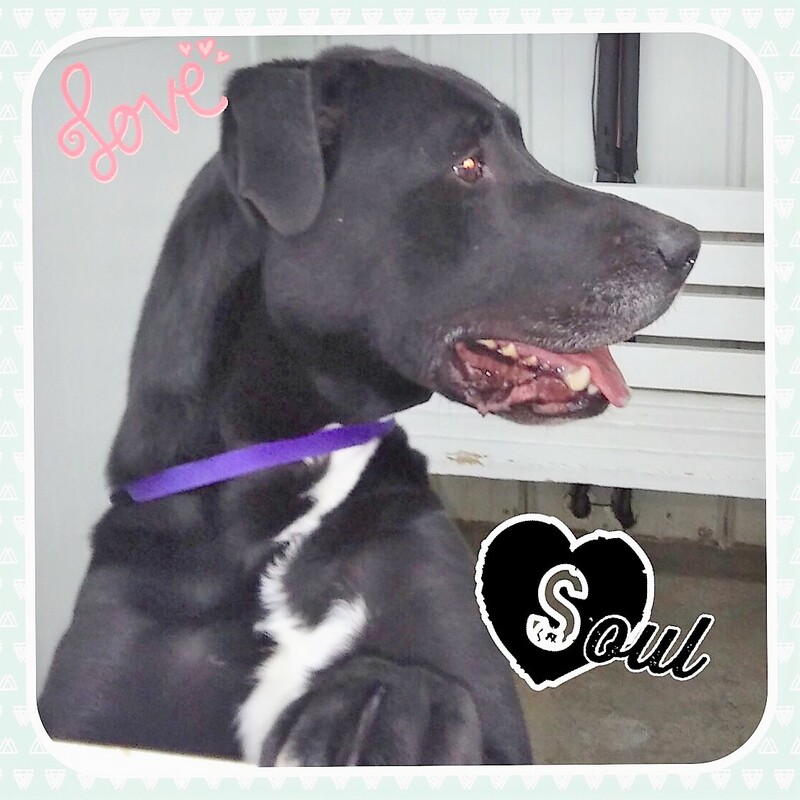 Soul is crate trained and knows: sit, stay, down, off, up, shake and offers both paws. He loves to play fetch and with a rope toy. With all these wonderful qualities, we can’t even imagine saying goodbye to such a wonderful dog.